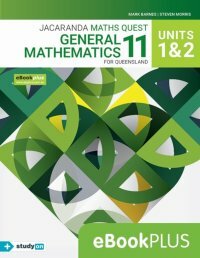 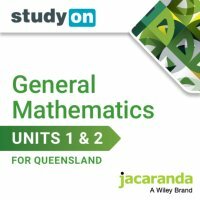 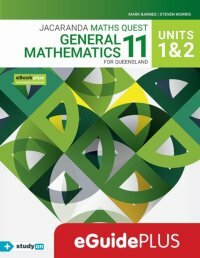 Jacaranda's unique exam preparation tool provides comprehensive coverage of the Queensland Senior General Mathematics Syllabus for Units 1 & 2. studyON allows students to practice exam-style questions plus hundreds of new questions. 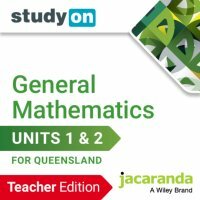 More than a study guide, studyON is an interactive and highly visual study, revision and exam practice tool designed to maximise every student’s opportunity for exam success. 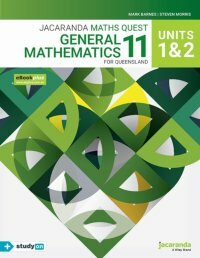 studyON now comes free and fully integrated when you purchase the print with digital or digital-only title from the Jacaranda Maths Quest 11 General Mathematics Units 1 & 2 for Queensland series.